So, this time last week, I was standing out on my front porch waiting on my two boys to get home from high school. I broke out into a hysterical fit of laugh-crying and couldn’t stop for several minutes. I pulled myself together and begged them to please, please, please just watch their sister so I could go to the mall. I had been trying to find something to wear to our 30th high school reunion, and apparently, every single item of clothing in my overstuffed closet was completely wrong. Why, oh why, are these jeans adding 30 years to my face? Why does this shirt seem to be reflecting light onto all of my wrinkles?! What is going on with all of these clothes?!? Obviously, the clothes weren’t really the source of my nervous meltdown at that moment. It’s actually been a very crazy couple of months around here. 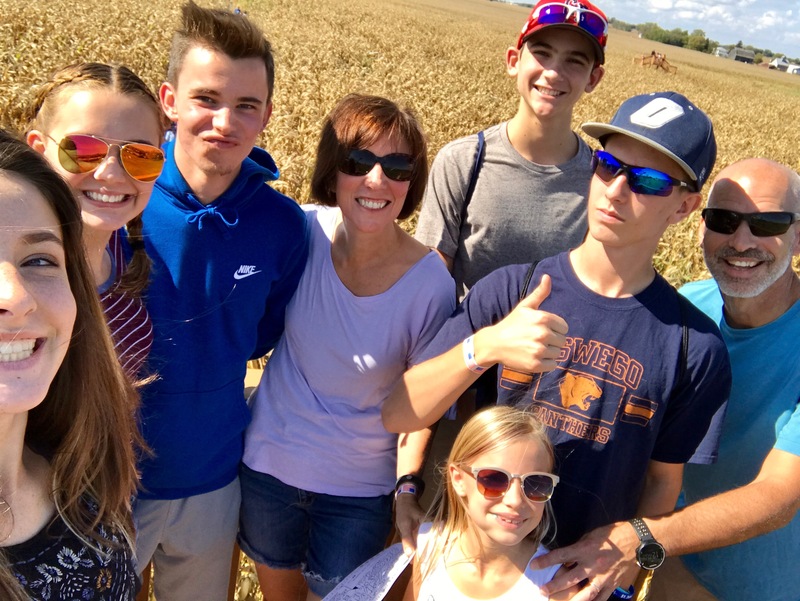 I’ve been working a lot more than usual, and just trying to hold things together with the usual stress of getting into a new fall routine with four very active kids. 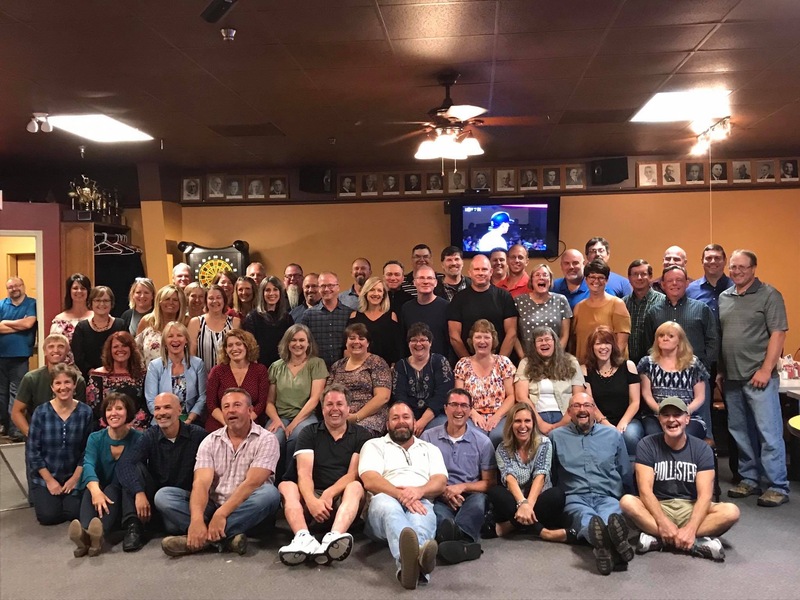 I had been half dreading, half excited about our high school reunion for… oh, about 19 years and 364 days since I went to our 10-year reunion. (JUST KIDDING!) I was very excited to see some friends I haven’t seen for a long time. 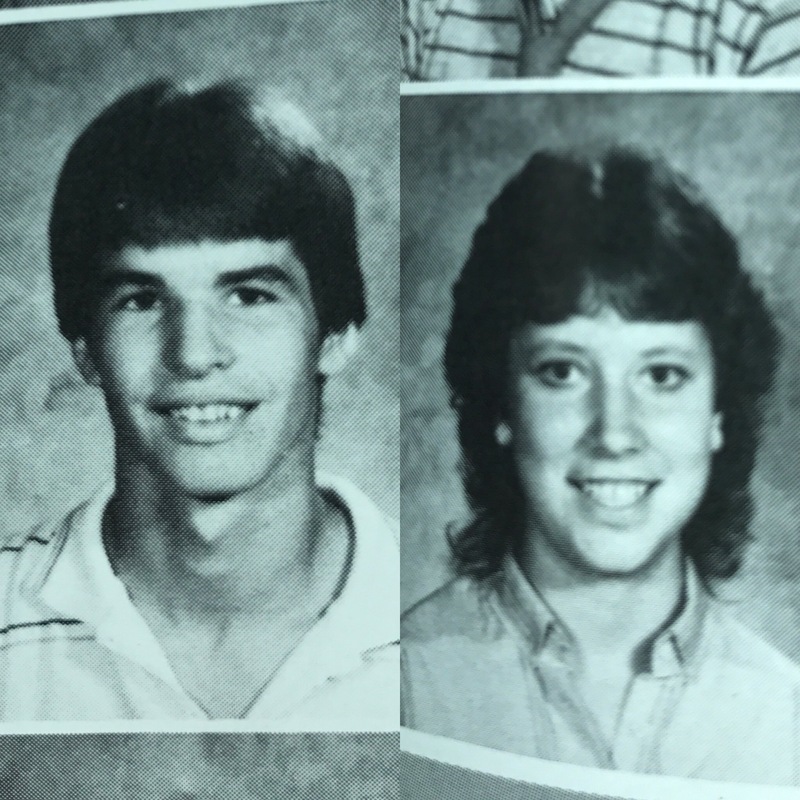 At the same time, I was scared silly that it might kind of feel like… you know… HIGH SCHOOL! I also seem to get very anxious these days any time I have to leave the comfort of my home-cooked food for more than a day. Two weeks ago, we went to Des Moines to celebrate my brother’s 50th birthday. It was super fun to be with my siblings, parents, nieces and nephews for the weekend. But I also got pretty sick from eating on the road, and then that makes me discouraged that my life has taken this turn that makes it so stinkin’ hard to just … EAT! Anyway, the high school reunion turned out really great. I found a cute shirt and a pair of jeans to wear, and quite frankly, no one cared in the slightest about the clothes. I was afraid I wouldn’t recognize anyone or they wouldn’t recognize me. Instead, most people looked pretty much the same, and it was so fun to see how warm, friendly and nice everyone was. I was worried I wouldn’t know what to say to people I hadn’t seen in 30 years, but it actually felt very natural to just pick up right where we were. 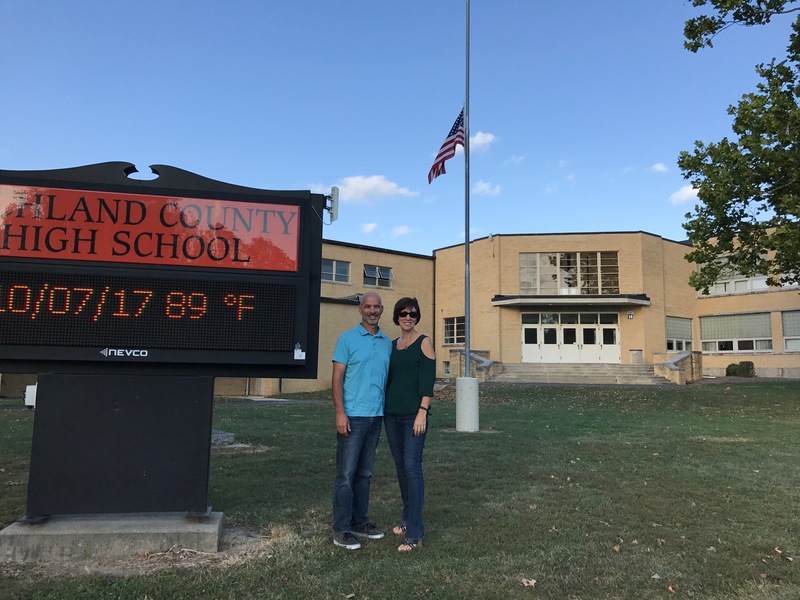 Since my husband and I both grew up in the same small town in southern Illinois, we also got to drive by our old homes, the high school and some of our favorite hang out spots. (We weren’t actually friends in high school, so we have separate, but overlapping memories.) Everything was much smaller than how we remembered it to be, but it was super fun to see. Anyway, confronting all of my fears of returning to high school turned out to be quite therapeutic. I pretty much felt like I could run a marathon or climb a mountain or something after that. 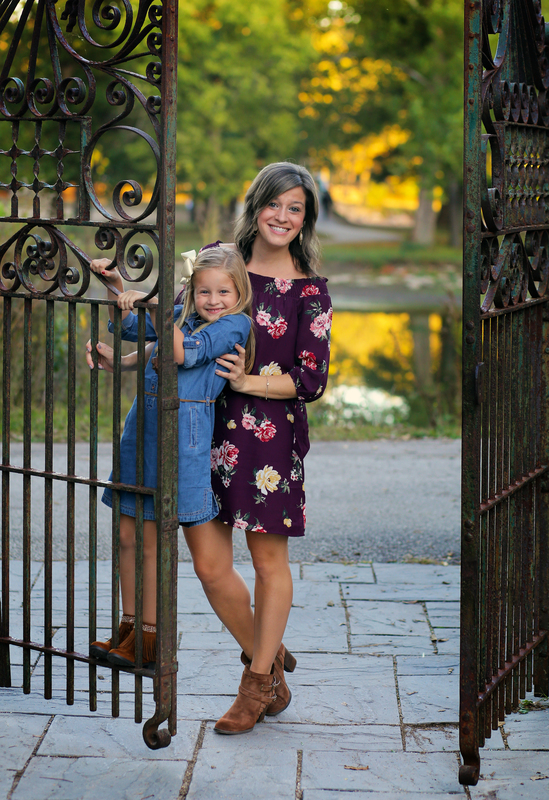 As soon as we returned from our five-hour drive home, I had about 10 minutes to spare before I needed to go shoot some family photos for a friend. A few years ago, I started taking photos for people, and it kind of got out of control. I decided it would be better for my stress level to just say “no” when people asked me to shoot photos. But several people have asked me lately if I could take photos for them, and I just decided to say “yes” to a few people. It was really fun to get out with my camera for an hour. The weather was absolutely perfect. The park we chose was gorgeous. The lighting was amazing. And my subjects could not have been any more beautiful. 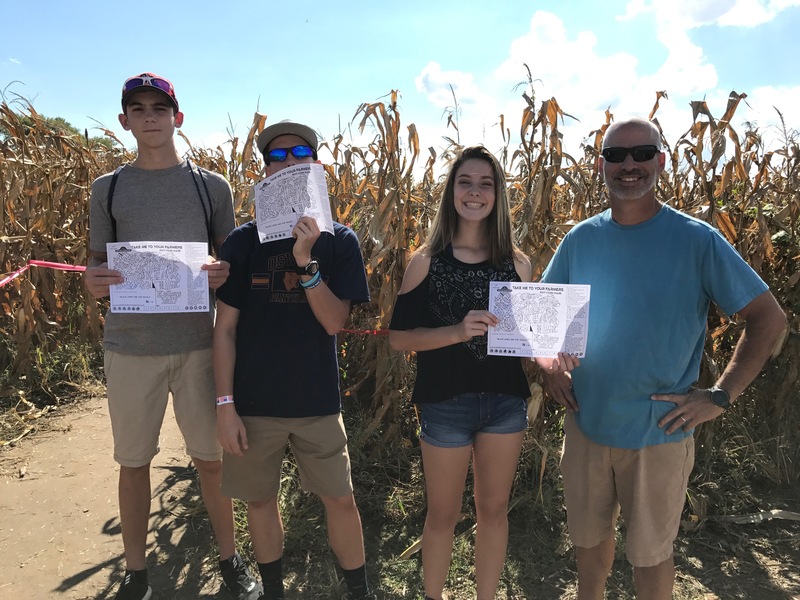 On Monday, we went on our annual #forcedfamilyfun trip to the corn maze for Columbus Day. A few of the kids brought friends along, and it was really nice to just spend time together. Now, I have one more really intense, crazy week at work to finish a bunch of stuff that has to happen by next weekend. After that, I’m finally going to clean my house and catch up on about 30 loads of laundry. Thankfully, I have several new outfits to wear because I bought a few “spare” outfits, just in case I got to the reunion and whatever I brought to wear made me look too fat, or too thin, or too old, or too high school-ish. You know. It’s always best to pack five outfits for a one-night trip. Just in case. 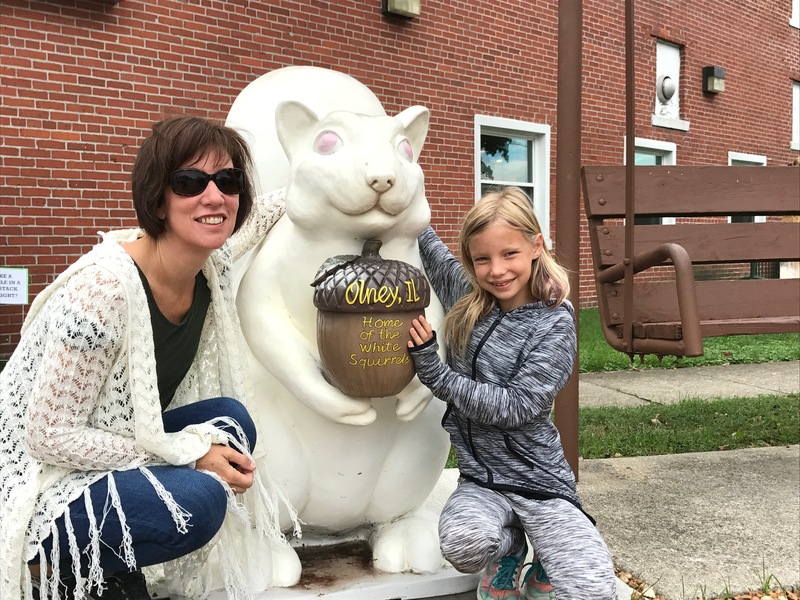 It was super fun to see you, too, Julie! We need to do it again soon. I agree that we didn’t get nearly enough time to catch up! You look awesome and were stylish – as always!!! So great to see you and Kent! Let’s not go 15 or so years without a face to face again!! !